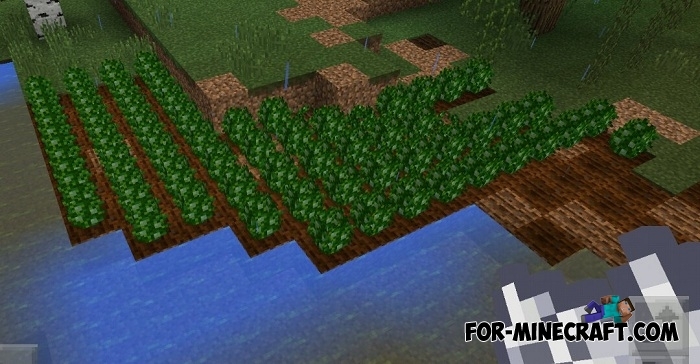 This addon for the Harvest Craft PE mod will greatly simplify the cultivation of fields. 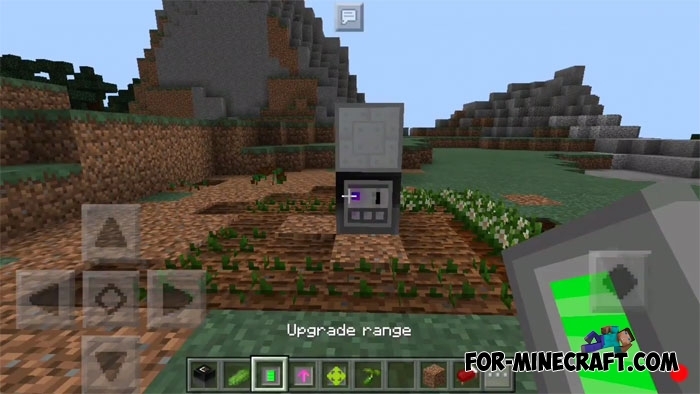 The addon adds a crop harvester block and 3 improvements to it. It uses Eu energy and you will only need to connect any solar panel (Industrial Craft PE). 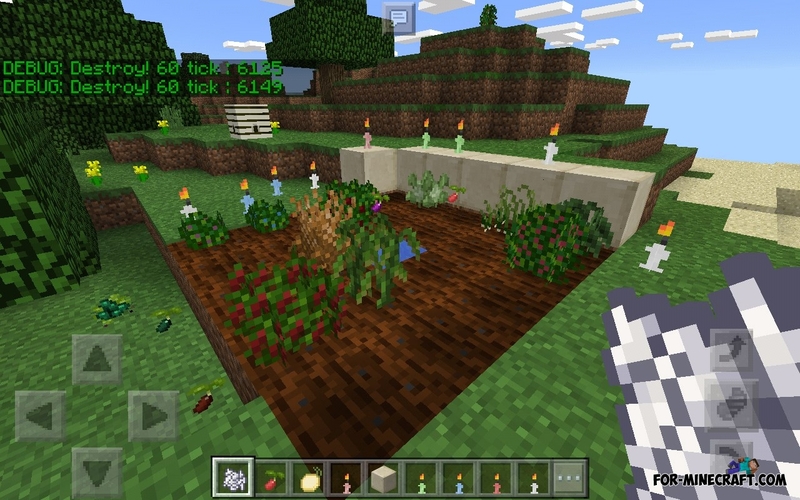 Pam's Harvest Craft PE 2.3.1 is required for its operation. A. Dumps the water under it from the bucket (put the bucket in a special slot). B. Cultivates rows in a limited area, uses a hoe. C. Plants seeds in rows. D. Fertilizes plants using bone meal. 1. Area. Increases the diameter of the area (from 5 to 25). Thus can cultivate up to 4 chunks. Increases power consumption. 2. Speed. Increases the speed of processing area, increases power consumption. 3. Works with chests. 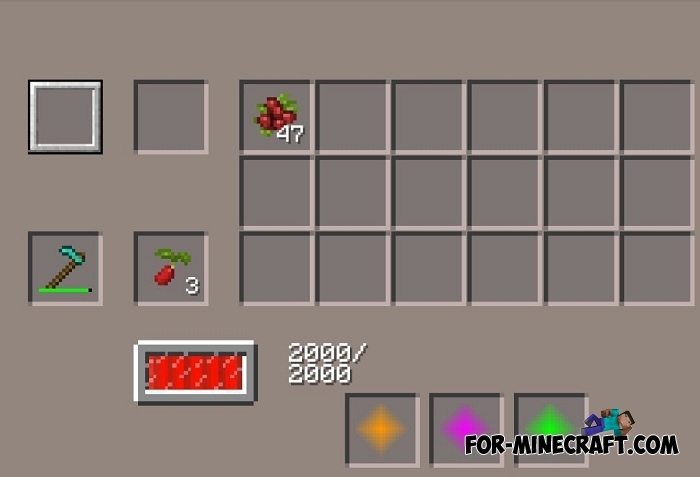 Allows blocks to take all necessary things (hoes, seeds, etc.) to work from the next chest. Does not affect power consumption. For improvements, 3 slots are allocated at the bottom of the interface. If you do not have a powerful device then it is not recommended to use a lot of improvements at the same time. To see the characteristics of a certain mechanism, you must sneak and click on it. Mechanisms are able to work on an uneven surface. How to install the Crop Harvester addon? 2. 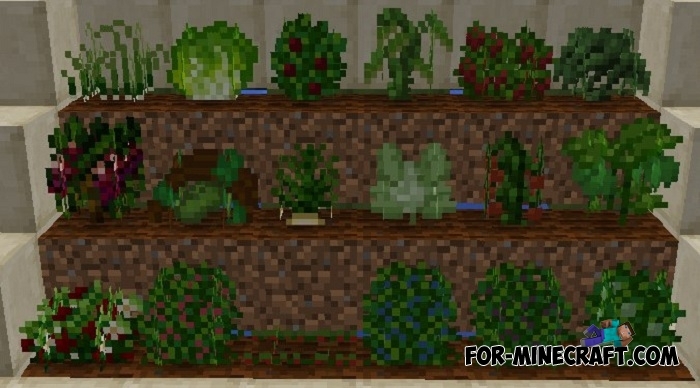 Download and install the Pam's Harvest Craft PE mod. 3. Turn on the addon in Inner Core.